This 3 days chimpanzee safari Ngamba Island takes you to visit one of the islands on lake victoria. 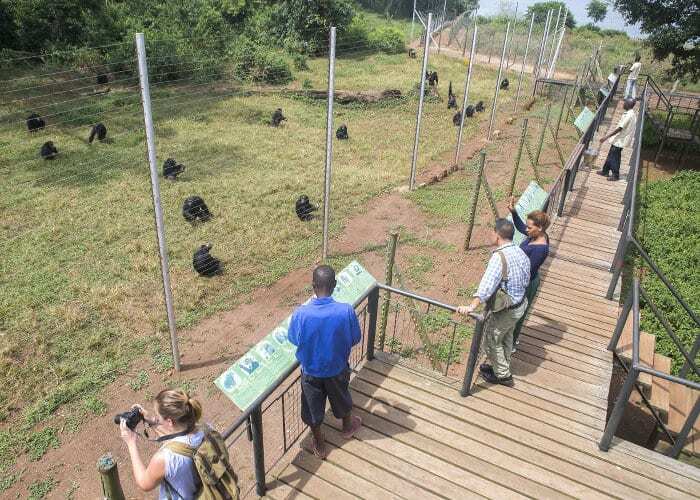 This is a chimpanzee sanctuary, has been in existence for over 20 years now and it is a home to orphaned chimpanzees. The island is just 45 minute boat ride from the mainland. Day 1; Transfer to Ngamba Island | Afternoon chimp feeding Ngamba Island. Have breakfast in the morning, prepare and set off on the motor boat back to Entebbe mainland. On your way back the motorboat will stop at the equator before you proceed to the mainland. End of 3 days chimpanzee safari Ngamba Island. For more information about Uganda Safaris, visit our uganda safaris page.